... so beautiful, L ... in black and white ... thank u 4 sharing, friend :) Love, cat. It's good. 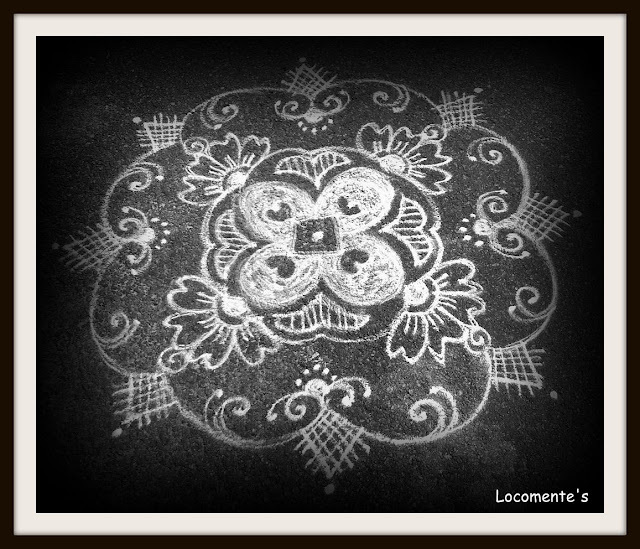 The cross patterns on the outermost may have been omitted, the rest of the Kolam is elegant.